"Lean back and relax in the Sunset Chair. 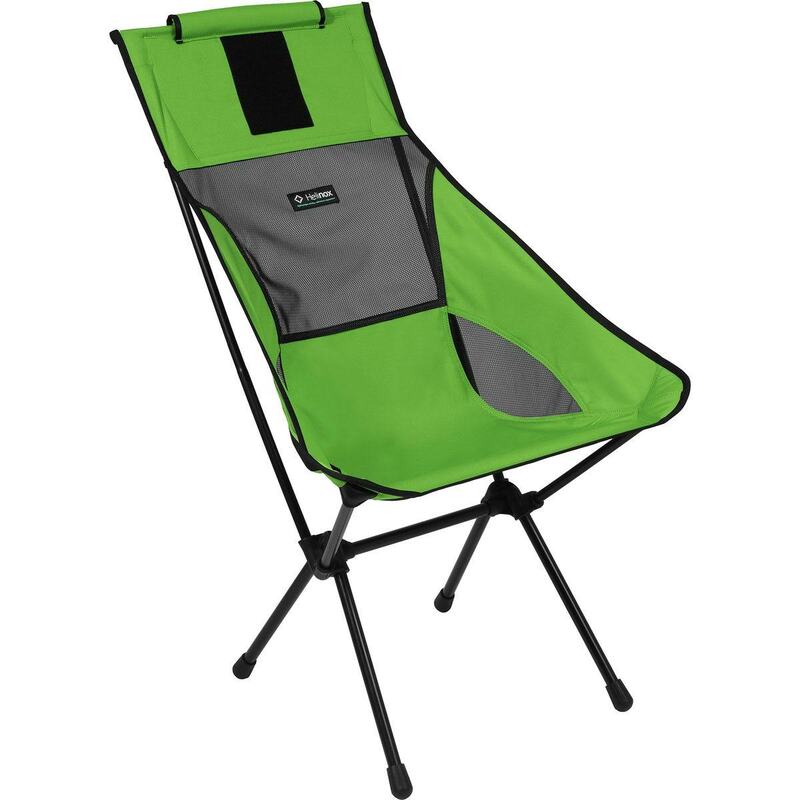 With a high, supportive backrest you will enjoy taking in the view from your back deck or a campsite while the sun sets (or rises). This chair is lightweight, is designed for easy set up with a single shock corded pole structure, and will be the envy of everyone on your next overnight trip. Accessory pillow sold separately. Skin & Frame Weight 3lb./ 1340g "